The majority of adults in the UK are classified as overweight or obese according to national health surveys. But a plus-size model, a professional rugby player and one of the UK's strongest women tell Newsbeat it doesn't bother them that they are classed as obese or morbidly obese. They say being bigger helps them in their life and they need to be bigger for their jobs. There are question marks about the reliability and effectiveness of BMI (Body Mass Index), the measurement used to classify people's weight. However, most doctors say it works for the vast majority of people the vast majority of the time. Rebecca says she didn't like being bigger when she was at school. "I was called the green giant in primary school and secondary school. It made me feel really different from everyone else, I didn't embrace it, I wanted to be thinner and I wanted to be smaller." But a few years ago she realised her size could be a good thing. 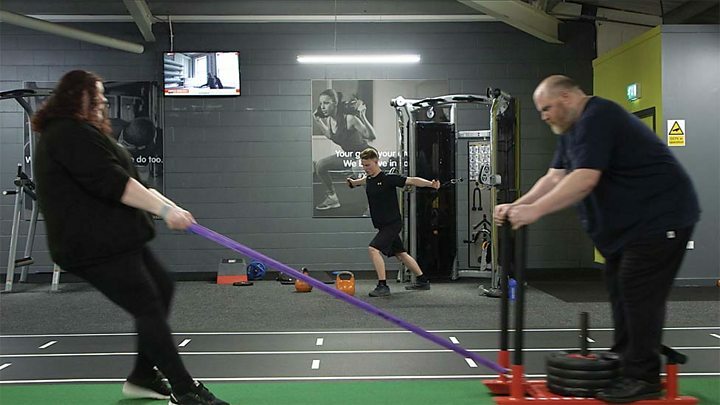 "It was [first] through rugby I started utilising my strength, then I started weightlifting and that's when I really knew I could use my height and weight to my advantage. Rebecca now enters lots of weightlifting competitions and has been winning. "I don't care being classified as morbidly obese because I have the opportunity to be the strongest woman that ever lived." "If I wasn't this size I wouldn't have a job." Felicity was dancing to Diana Ross in an east London bar when she was scouted to model. She's worked for brands such as Mac Cosmetics, ASOS, Accessorize, Ann Summers, Boohoo, New Look, River Island and Missguided. 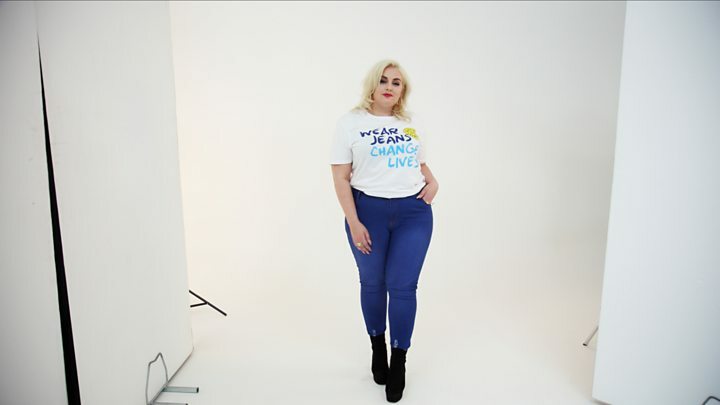 "I'm a plus-size model and I have to maintain being this size as it is the sample size for all the brands that I work for." Felicity says she's healthy and doesn't worry about being classified as obese. She says people always want to talk to her about her weight. "Everyone wants to be a doctor. "The thing is, I swim, I work out, my body is fine and I've carried this weight my whole life." Felicity says at school everyone was hanging up posters of Britney Spears and Christina Aguilera on their walls. "I was always the girl with the bigger bum and I remember being in PE and being the girl that had to wear the boys' shorts." Felicity has this message for men and women. "Your weight does not define you, there are so many amazing opportunities for you. "You need to remember self-love, brings beauty." 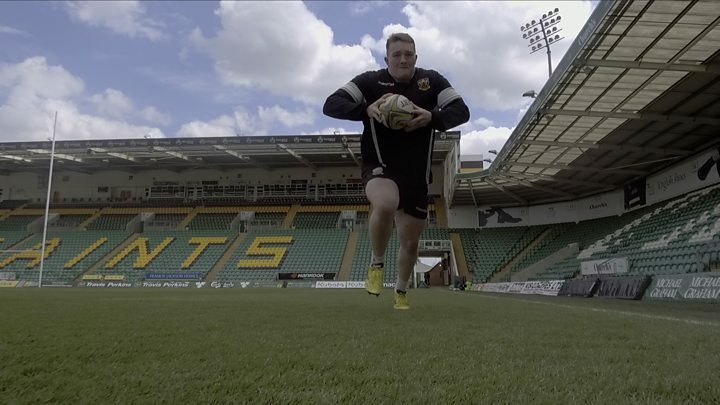 The 20-year-old is a tighthead prop for Northampton Saints. "Being big helps me in scrums, it means I have more momentum on the hits and means that the weight baring down on the other loose head is greater." Growing up, Ehren says he embraced being bigger. "I wasn't a big baby, but by the time I went to school I was bigger than everyone else. "I was never self-conscious about my size because my dad always told me bigger is better." Ehren says he doesn't care about being classified as obese. "I'm a healthy guy, I train everyday and I have a strict diet." Video Hidden fats: What’s underneath your skin?